The Yankees, for once, actually have a lot of something in their minor league system that people actually want. Right now, they have among the richest catalogue of catching prospects in the league. 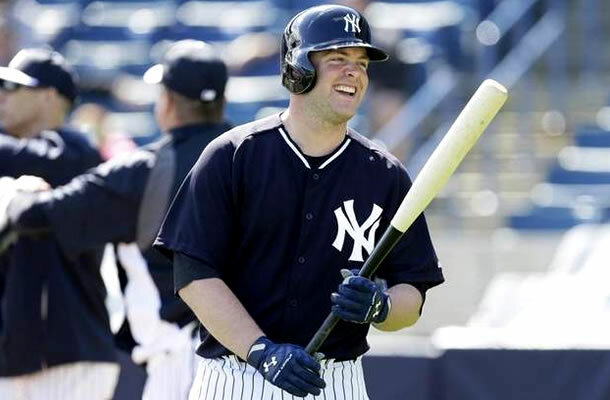 They also just signed one of the best catchers in baseball, Brian McCann, to a five year deal. This puts the Yankees in a position to turn at least one of those youngsters into a viable major league piece at a position of need. So, who should they keep, and who should they trade? For the record, I am obviously excluding McCann from this post. He’s everything they hope the young guys could turn into and more. He’s not going anywhere. Also, I’m going to do this in order of Major League readiness. Anyway, let’s get to it. We should all be familiar with Francisco Cervelli. He’s been with the team since 2008, and this will be his seventh year in pinstripes. Yep, it’s been that long. Pretty crazy right? That being said, Cervelli’s not a guy the team has ever thrown themselves fully behind. Two years ago, they traded for terrible Chris Stewart on the last day of Spring Training and sent Frankie to the minors to start the year. This was after basically two full seasons as the team’s backup catcher, so it came as a shock to everyone, including Cervelli himself. Last year, he had basically finally won a starting job, and he broke his hand. Before he could come back, he was suspended as part of the Biogenesis scandal. It’s been a rocky ride for Frankie, to say the least. All of that being said, Cervelli has the skills and talent to probably be one of, if not the, best backup catchers in baseball. He can hit better than most all-glove backup backstops (especially in the clutch, it seems), and has vastly improved his defense the last couple of seasons (a big part of the reason he was sent down prior to 2012). Before his broken hand last year, he was hitting .269/.377/.500 with 3 homers and 8 RBI in just 17 games. There are lots of teams out there that could use a solid backup catcher. On some teams, like the White Sox, for example, Cervelli would probably step right in and be a starter. He’s also out of options, however, so the Yankees have to keep him on the 25 man or let him go somewhere else, so that takes away a bit from Cervelli’s value. That being said, if the Yankees were able to get a decent prospect from the Pirates for Chris Stewart, then they should be able to get something good for Frankie. John Ryan Murphy was rushed to the majors after literally everyone got hurt last year and struggled during his cup of coffee in the Bronx, hitting .154/.185/.192 in just 26 at bats. Despite all that, however, he’s considered by far the best prospect of the three major league ready catchers in the system. He split last year between AA and AAA, and shows the ability to hit for average (.269/.347/.426 with 12 HR and 46 RBI). If he can continue to develop the power he has also shown, and refine his defensive skills, he could definitely start for some major league teams in the very near future, if not right now. I hate to pick on the White Sox, but they really could use him. 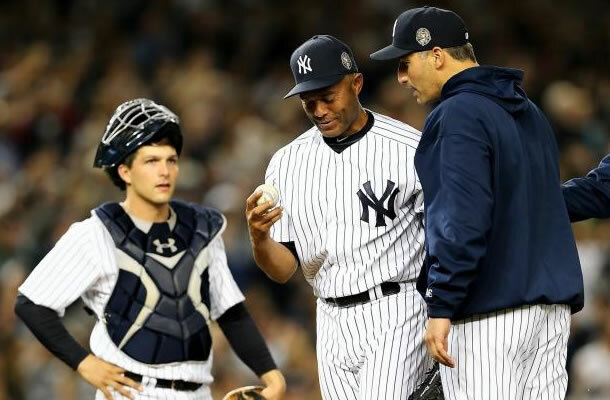 Murphy also has the distinction of being the last man to ever catch Mariano Rivera, even appearing awkwardly in the photo with Rivera and Andy pettitte and Derek Jeter when the two legends came out to take the greatest closer of all time out of his last game. Could that be the last regular season memory he has of his time in the Bronx? Moreso than Cervelli, the Yankees have the benefit of potential when it comes to Murphy’s trade value. With Cervelli, you probably know what you’re going to get, because he’s 28. Murphy, on the other hand, will turn just 23 in May. If he’s as good as he is now, the belief is that, as his game matures, he’ll be even better. The Yankees can definitely sell Murphy’s current talent, plus that potential, for a little more in return. 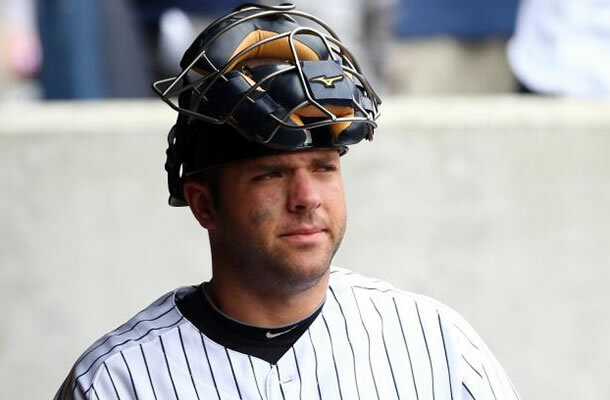 Austin Romine was once thought of as a great prospect, but has seen his stock fall due to injury and ineffectiveness. He first came up as a 22 year old in 2011, getting into 9 games and hitting .158. Unfortunately, a back injury cost him most of the 2012 season. He barely played in the minors, and did not appear in any major league games. Opportunity came knocking in 2013, however, when Cervelli broke his hand. Romine was so bad in his stint, that the Yankees were forced to keep Chris Stewart in his every day role. That’s right; he was so bad, that he couldn’t even supplant Chris Stewart. Romine finally got it together a bit in the summer months, hitting .304 in from June 1st to August 20th, but a dip in production and a late concussion left him with a .207/.248/.279 with 1 homer and 10 RBI. Simply stated, Romine had the chance to take advantage of an injury to make a big impression in the Bronx, and he failed. Because of all that, his trade value is probably at an all-time low right now. That being said, he’s still just 25 years old, and still possibly better than what some teams are rolling out there right now (ahem… sorry White Sox). There are lots of teams who would benefit from Romine’s services, especially if he can get his stuff together and showcase his above average defense and rumored adequate bat. Hark the herald angels sing! Glory to the newborn king! If you haven’t heard of Gary Sanchez, you’re not a big enough Yankees fan, and you should be ashamed of yourself. 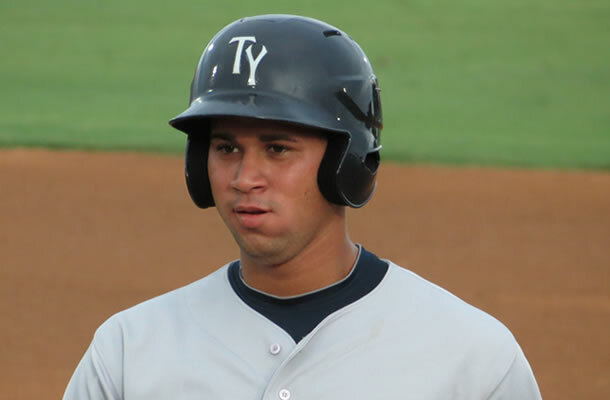 Sanchez is the latest “best prospect” in the Yankees system. Like seemingly everyone else in the Yankees system, Sanchez experienced a down year last year that has dropped his stock a bit, but he’s still considered the number one prospect in the Yankees minor league system. He’s a right-handed power hitting catcher with (allegedly) improving defensive skills and, at just 21 years old, he’s probably going to be at AAA at some point this season. He spent 2013 splitting time in A+ ball with Tampa and AA with Trenton, hitting .253/.324/.412 with 15 homers and 71 RBI. Those numbers don’t exactly jump out at home, but he was one of the younger players in those leagues, which makes his numbers a little more impressive. He only played in 23 AA games, so he should definitely be ticketed to start in Trenton again in 2014, but I anticipate a call up to AAA at some point, unless he crashes and burns in Trenton. Either way, will both end up playing somewhere else? Sanchez is the type of guy you make the centerpiece of a deal for a big time player. Perhaps a package for Colorado’s Troy Tulowitzki would start with Gary. I’m not saying the Yankees should do that, but that’s probably where they’d have to start. Despite McCann’s presence in the lineup, the Yankees need to hold on to Sanchez, so I’ll eliminate him right off the bat as far as trade bait goes. If they do decide to trade Sanchez, they need to do it when he’s closer to the big leagues, and hopefully coming off of a big year. Even blocked by McCann, Sanchez’s bat could make him a big time contributor on the big league level. They could always teach him outfield, first base or just stick him at DH too. Cervelli, in my opinion, might be worth more to the Yankees as a backup than whoever they’d be able to get back for him. I don’t picture the Yankees getting back much more than a reliever, or a salary dump infielder like Alexi Ramirez from Chicago. Ramirez might play excellent defense, but his bat hasn’t been good for a few years now. In the Bronx, meanwhile, Cervelli is still one of the best backups in baseball. He can hit lefties and plays solid D. That’s worth more than you’d think. To me, Romine’s value is so low, that they should keep him, hope he hits better in AAA and then try to trade him, or make him the backup, in 2015. The best case scenario would be that the Yankees let Cervelli go after this year (he’ll become arbitration eligible after this year) and Romine steps right in to be a solid backup. Murphy, on the other hand, is different. His value is very high right now, and he’s believed to be big league ready. If Murphy is, indeed, good enough to be a major league regular right now, then I think the Yankees should trade him. I wouldn’t have said so at the beginning of the year, but once the Yankees signed McCann, Murphy became the odd man out. He has the most value out of everyone other than Sanchez, and could be used to trade for a young infielder to take over for Derek Jeter or Brian Roberts when the two are gone after this year, or even this year if either one gets hurt. The White Sox have a guy named Marcus Semien, and the Diamondbacks have a couple of guys in Chris Owings and Didi Gregorios, that they could send to the Bronx for Murphy. Basically, the Yankees have an overstock of catchers. McCann and Cervelli should be in the majors, while Romine and Murphy should be in AAA. When Sanchez is ready to come up, what do they do if everyone’s healthy? Also, they have guys lower in the system who will soon begging climbing the system. 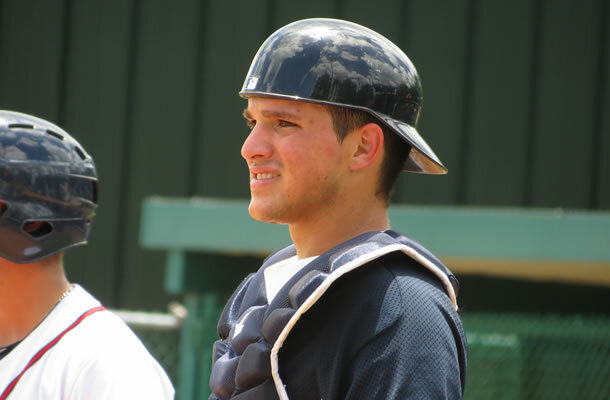 Peter O’Brien has monster power (although he’s believed to be moving away from catching), and look out for 18 year old Luis Torrens (pictured above), who is probably the next big catching prospect for New York. If you have 50 apples, and you need 1 orange, why not send a few of those apples to your neighbor in exchange for the thing you really need?